As I type in my old journal entries below, even I am saying, “Geez! Get on with it already! We got it! They don’t have a job. Haven’t had it for over a year. Three kids in a tiny apartment. Life is hard. Wah, wah. Go on!” If this were a screenplay, I would chop out fifty pages of excruciatingly boring pleadings and cut to the ‘We got the job celebration scene.’ Well actually, before that, I might throw in a scene of me hurling a glass vase across the room, crashing it into a mirror to showcase my had-it-up-to-here moment. Then I would push the story along and keep my audience’s attention and fast forward about five years. But that’s not real life with or without God. 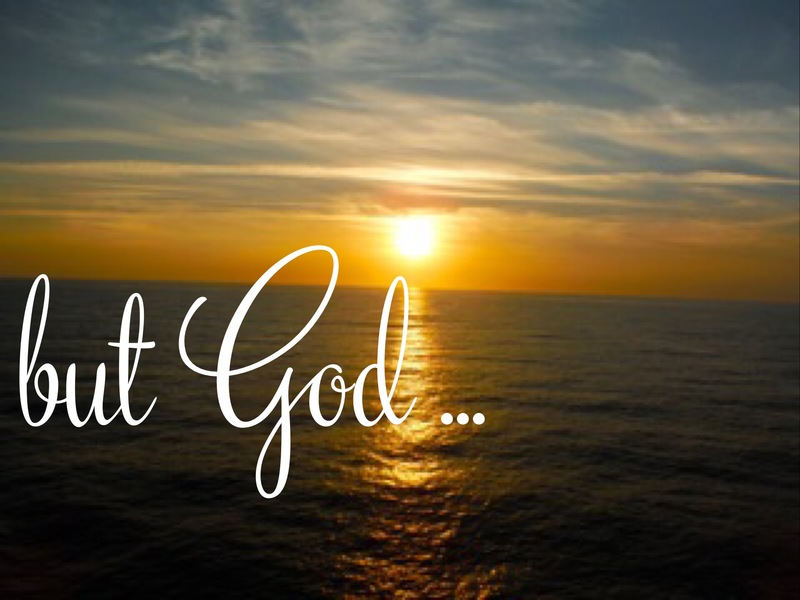 Real life without God in this 10+ years, no-job journey involves fear, worry, doubt, anxiousness, and anger at some point along the way–we can’t help it, we’re human. Real life with God, honestly involves all those insecure emotions too. But God. God brings HOPE and assuredness. He takes a hopeless situation that we make worse by worrying and heeding false advice, and provides peace and a future. On our own, we would have most likely found a job, earned some money, and muscled our way through our dire situation (albeit we wouldn’t be where we are now with our many bestowed blessing). But with God we carried peace, experienced joy, nestled in the Comforter’s embrace, and grew closer to the Creator of our futures. The anxieties in my heart: 1) wanting to live in Austin with my family & the beautiful landscape; 2) my kids’ negative attitudes towards each other; 3)my weariness with this journey; 4) Greg’s & my outlook towards the discovery of this divine vision seem far apart, but so close at the same time right now. Everything I’m grateful for: 1) all the amazing things going on in our world now. I can see past the war & the extreme, unfortunate sufferings. You are bringing peace You are lifting up & preparing Christians for Your cause. You are highlighting the immorality in business & leisure. Could Greg’s abilities & insights about integrity in business be primed & ready? You are returning our country to a simpler, other-focused time. 2) You protected Jill this past Sunday! Thank You for holding her close. 3) My job at LCA & how well the play is progressing. You really guide my every action when I’m doing these plays! I feel so close to You. 4) My Hip Hop group at church. They keep coming back & we’re having fun & they’re getting better. Lord, if Austin is where You want us, please provide an opportunity to move there when school gets out for the summer. Lastly, I pray for a good time & good weather for Alyson’s visit this weekend. I pray that she will be willing to attend service this Sunday. I have been tired & angry. Thank You for waiting on me. Lead me, guide me, pour peace over me. Pour peace over our troops, the British forces, our leaders & our enemies & the people of Iraq. Your grace prevail over all gunfire, religious beliefs & stubbornness. Peace & Your face be seen by the POWs. Today I am excited to be here now having this time with You. My attitude lately has been shameful, bratty & unhealthy. I ask Your forgiveness & grace to pour over me & make me new. Take this over year-long journey & make me new. Cast the devil away. Don’t let evil penetrate my thoughts, tongue & actions. Teach me, love me, pull me close. Pour out over my husband. Give him peace & rebuke evil around him. Well within my children. Give them air beneath their wings that they may soar above all pain & angst. Please be with me now as I go to Your Word. Lead & teach me. After reading Revelations 21-22, I know that it is with You that I am to look toward for answers; not the world. How comforting it is for me to know that You will have this wonderful place for me. You conquered death for me & prepared Heaven for & my family. I am not afraid of this world; it has attempted to sting; evil has had its chance & failed! Ha! I walk by faith & not by sight. Lord, I pray for Jason Eaton who is faithfully serving in the US Army in the Iraq war. I have committed through the Presidential Prayer Team to pray for Jason’s safety during this time. Lord, please protect, guide & minister to Jason. Give him comfort during such scary times. Also please be with his family, giving them peace & faces turned towards You & Your Word; assurance in Your plan. You have renewed my spirit! I feel so light. I see purpose–purpose in waiting. As our family had our Bible study last night (a silly one; all in a giddy mood) I read from Philippians 4:10-20. In it, of course was ‘I can do all things through Jesus Christ which strengthens me’ (v13). You first led me to that verse in 1985 when I was in the Miss Austin Aqua Festival Pageant. I can remember being backstage, about to go on & those words popping into my head. Thank You. What a Comforter you are. Thank You for today. Fill my heart with gladness. Fill my mind with Your wisdom and knowledge. And hold my tongue, only letting it loose for necessity & kindness. I pray You take hold of our children. No more arguing, attitude & ugly demeanor. Change their hearts. Change our tactics. Lead us to a place where our positive inner light can shine! Lord, just as You give me a complete vision of a dance production or play choreography and set, etc, please give me the complete, unquestionable vision for our family’s life after this journey. Will we live in Austin? Where are Your answers for us? In Nehemiah’s time & Joshua’s time, You put all circumstances in place for Your ultimate plan to come to fruition. Just as with what is going on now with our nation, President Bush, Iraq & the fall of Hussein. Your divine plan is the reason why the people of Iraq are liberated. Praise You, Jesus, for saving the Iraqis. How are my circumstances lining up with Your divine plan? We are trying to raise our children in Your eyes for a divine future; we are living and abiding our marriage according to Your guidance; we are trying to travel this journey as testaments of Your grace & our faith in You. The final piece of the puzzle is Greg’s career & my career & how the two separately can work to minister & testify for You. We pray for the answer to this final puzzling question. I know You are at work in the hearts of my family. Please let us be a daily, living testimony of Your love & grace. How will You place us in Austin if Greg is going to get a job offer with EDS here in Dallas? My heart, Lord, hurts. Heal me. Lord, thank You for letting me store treasure in Heaven. I pray for wisdom in these circumstances., dear Lord of the Highest, my Comforter. I am Your servant. Send me.